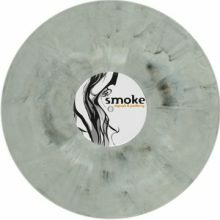 In September 2013 Mo’s Ferry presents the fourth album “Smoke” by Dapayk & Padberg. After their last album „Sweet Nothings“ on Stil Vor Talent in 2012 with its summery-funky sound the duo is now opening the door to a gloomy-melancholic world. Dapayk & Padberg consciously turn their back on the dancefloor and abandon the formerly typical balancing act between club sound and listening electronica. Even though the A side of the present single is certainly made for the DJs, it shall be the sole exception to their current creative path. The down-tempo version of “Smoke” on the B side already reveals the new Dapayk & Padberg uneasy listening mixture.